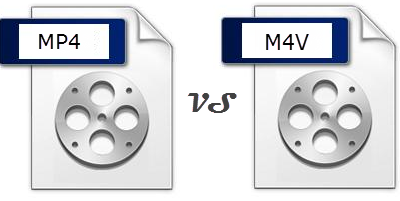 Is the difference between m4v and mp4 just a matter of file extensions? Is mp4 renamed as m4v? My understanding is that generally, the existence of the m4v extension is simply to force iTunes to open the file by default. Do you agree with him? Generally, the majority may have the similar confusion about the two formats, since both have a lot in common and subtle differences therebetween. Here I will illustrate you the similarities and differences between M4V and MP4, and show you how to convert MP4 to M4V, Unlock protection from iTunes M4V with no hurdle in mins. 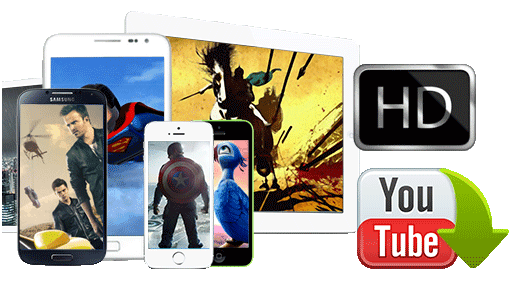 M4V is a video container format especially designed for Apple products like iPhone, iPad, iPod, Apple TV, iTunes, etc. It's open in iTunes by default. With the gradually rising popularity of Apple iPhone, iPad, it is widely accepted by more and more media players and gadgets. MP4, also MEPG-4 Part 14, is regarded as the most widely used multimedia container format for storing digital video and audio stream, as well as other useful data. Usually, MP4 files can be recognized by almost all the media players, programs and devices. Plus, it has become a huge hit especially favored in internet broadcast and streaming because of its faster loading and better quality features. M4V can only be played on authorized Apple devices after you rent or purchase files from iTunes. It can't be transferred to Android, Microsoft or other devices for playback. To reach this goal, you have no choice but to remove iTunes FairPlay DRM from movies or TV shows. Thus, you need a solid DVD ripping software - MacX MediaTrans, which can trouble-free get rid of iTunes FairPlay protection and convert M4V to unprotected MP4 format. Then, you can transfer iTunes decrypted files from iPhone iPad iPod to computer for playback on Android, smart TV, game consoles, etc. whatever device and platform, outside of Apple ecosystem. In essence, M4V is a division of MP4 multimedia file format. Therefore, it is almost identical to MP4. The most obvious similarity lies in that they both support multiple sorts of content to coexist in a single file, irrespective of the common video and audio stream, or track information, subtitles, menus and 3D content. What's more, they are famous for their high quality and suitable size as they adopts MPEG-4 codec to guarantee the highest quality possible and meanwhile keep balance between the quality and size. Though M4V and MP4 may be inferior to FLV or WMV file format when it comes to the file size, it's safe to say that they have no problem in sleeping in your iPhone iPad portable devices. FairPlay DRM is to prevent Apple devices from transferring files to the users who didn't pay for the content and encourage the user to purchase the files on iTunes store. iTunes, Apple iPhone, iPad, iPod, Apple TV, etc. from Apple family. Thanks to the Apple iPhone iPad iPod device in vogue. Ubiquitous format for any media player and device. Note: Though the majority of M4V files are protected by Apple's protection, there are still some non-FairPlay versions of its files available on iTunes, which can be purchased and then transferred to other devices freely as if they were MP4 files. Once the M4V protection removed, there is seemingly no practical difference between M4V and MP4. 5KPlayer - The most formidable contender to VLC. 100% free video player to play M4V MP4 MKV AVI FLV MOV 3GP WMV AVCHD MTS MP3 DVD, etc. Free download video music from 300+ sites, alongside with free media streaming feature. Eager to Convert MP4 to M4V? Here is the Tutorial! If you plan to convert MP4 to M4V the default format for iTunes, the following guide will walk you through the whole process of MP4 to M4V conversion with the aid of the versatile MacX Video Converter Pro. Step 1: Free download this reliable MP4 to M4V HD video converter and launch it on Mac. Click "Add File" button to add the MP4 files you desire to convert to M4V. Step 2: Choose "to M4V" as the Output Format. Step 3: Click the "Browse" button to select the output folder. Step 4: After finishing the above steps, click the "RUN" button to start MP4 to M4V conversion. Summary: All in all, both M4V and MP4 are largely identical but with minor differences. There is no saying whether M4V or MP4 is better. From the perspective of a common user, it's practical to download or convert your video to MP4 since it's more compatible and friendly to almost any player, program or device. If you are a genuine Apple fan, it's also advisable for you to reserve your video file to M4V. The initiative totally leaves upon you. 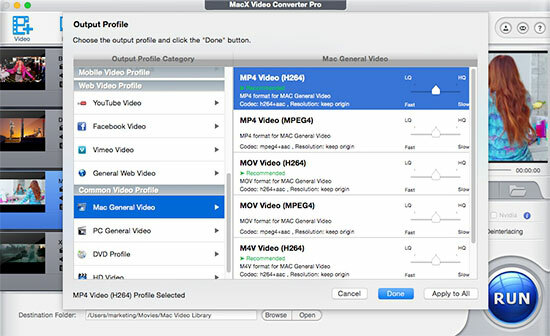 MacX Video Converter Pro is powerful to convert any video to MP4 M4V MOV and convert video to iPhone iPad iPod Android 83X faster speed. •All-round Video Converter: Convert video (SD or HD) to over 180 video formats and 14 popular audio formats on Mac OS X (El Capitan), such as MP4 MKV FLV AVI MOV M4V MP3 iPhone Ringtone, etc. 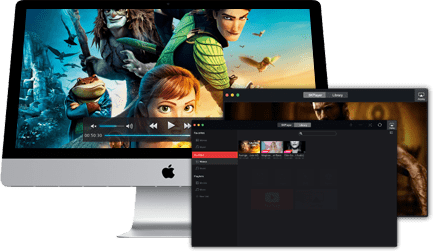 •Solid Video Downloader: Free download video movie music from over 300 sites, like YouTube, Vimeo, Facebook, Dailymotion to over 350+ device no quality loss. If you cannot convert protected M4P to MP3 on Mac and get an authorization error while encoding, you can follow the tutorial to Unlock protection from iTunes autiobooks and convert iTunes M4P purchases to MP3 for playing on Zune, Walkman, Creative Zen, etc. Audiobook DVD ripping software review - introducing best 3 audiobook DRM removers that help you bypass protection from iTunes/Audible audiobooks.